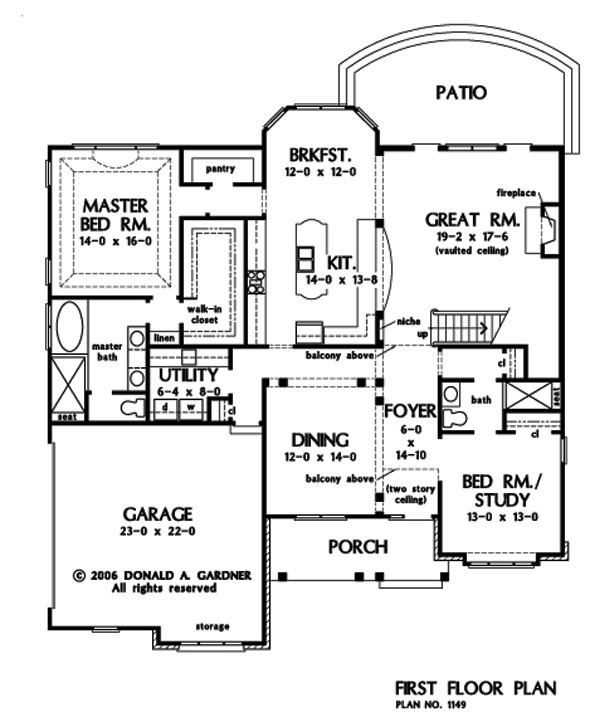 This traditional house plan includes everything needed in a larger floor plan. The master-on-main, exciting exterior, upstairs balcony and architectural details gives this home plan more than you would expect. Arches on the exterior of this house plan unite with gable peaks for maximum curb appeal. Inside, the open foyer and dining room create a welcoming entry, as columns are the only thing that define the two rooms. A formal staircase flows into the great room for added luxury. This home plan's master suite features a more-than-generous walk-in closet as well as a tray ceiling in the bedroom and indulgent bath. 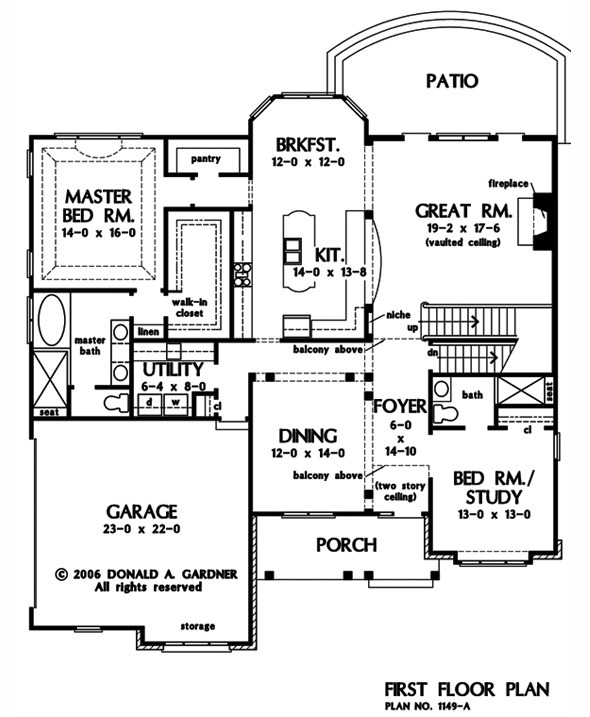 Upstairs, the secondary bedrooms each have walk-in closets and are spread apart for privacy. Built-in bookshelves in the hallway grant interest to the upstairs. 1st Floor: 2156 Sq. 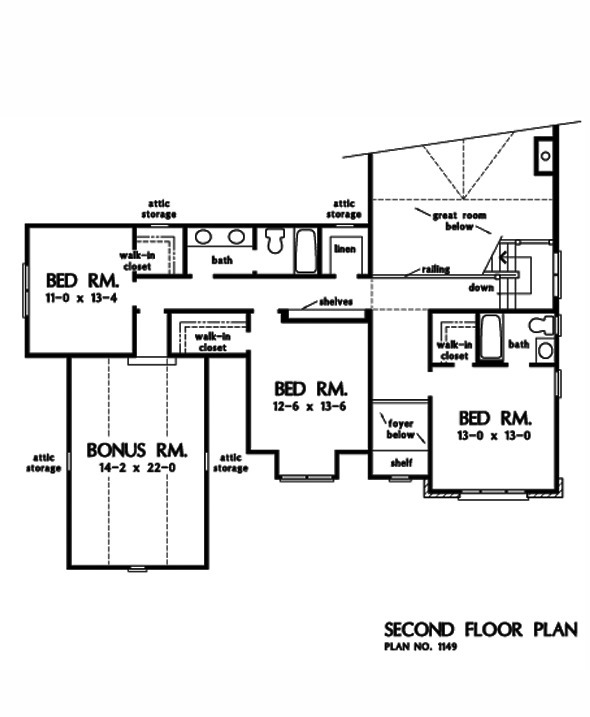 Ft.
2nd Floor: 1028 Sq. Ft.
House Dimensions: 56' 2" x 58' 8"
Great Room: 19' 2" x 17' 6"
Bedroom #4 : 12' 6" x 13' 6" x 8' 0"
Bonus Room (Vaulted): 14' 2" x 22' 0" x 8' 0"
Foyer : 6' 0" x 14' 10" x 9' 0"
Garage Storage Bay : 11' 2" x 1' 8" x 0' 0"
Great Room (Vaulted): 19' 2" x 17' 6" x 19' 4"
Kitchen : 14' 0" x 13' 8" x 9' 0"
Patio - Rear : 20' 2" x 11' 7" x 0' 0"
Porch - Front : 17' 11" x 6' 10" x 9' 0"
Utility Room : 6' 4" x 8' 0" x 9' 0"